The sidekick is one of the most devastating kicks in martial arts. Powerful, fast and versatile. It’s all in the pivot. You must pop your hips to engage your core. It’s all in that split second pivot. You can’t learn that from a book. You need someone who has thrown tens of thousands of roundhouse kicks to show you the proper technique. Learning how to interpret ECGs is very similar! You can’t learn 12 lead ECG interpretation from a book. There are some fine details that are so subtle that you need a coach. You need to learn in steps. 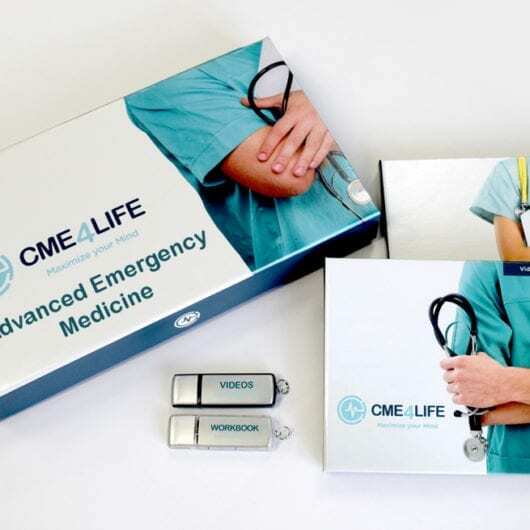 CME4LIFE’s Black Belt ECG program is a solution for those who need to learn 12 lead ECG interpretation for clinical application. We’ve taught ECG interpretation to thousands of providers and our curriculum is the most efficient and useful system to learn ECGs. Black Belt ECG is a 6 video program that will teach you the following and more! Discuss the sympathetic nervous system, “Staying Alive” response, and the differences between inotropes and chronotropes. Parasympathetic nervous system and the role of the Vagus nerve (“Leash on dog”). How does atropine work and anticholinergic side effects? Risk Factor assessment. 3 causes of JVD. Difference between a simple and tension pneumothorax. Anatomy of the Heart. Why do we put a patient on a monitor? Difference between Unsynchronized and Synchronized shock. “R on T” phenomenon. When do we shock? QRS complex: Why is the QRS complex wide? Description of the mnemonic CVS. Description of the Bundle Branch Block Man Method. Is this V.tach patient alive or dead? Difference between V.tach and V.fib. Hyperkalemia on ECG. Introduction to sinus tachycardia/bradycardia. Causes of tachycardia: Discussion on mnemonic PHAT HADES. Treat the causes of tachycardia. Importance of vital signs and asking important questions. First encounter with mnemonic HORID. Why are HGB & HCT important? Who’s at risk of acute bleeding and what to do? Discussion on Trendelenburg position. How to take orthostatic vital signs and their importance. How to diagnose ventricular hypertrophy. The importance of the R & S wave on ECG. Sokolow Index as it relates to left ventricular hypertrophy. Discussion on the 3 criteria of right ventricle hypertrophy. The importance of address potassium. Causes of metabolic acidosis with the mnemonic KUSSMAL. ECG changes with hyperkalemia. How to treat hyperkalemia and the methods of lowering potassium. Causes of A.Fib. 3 caveats to diagnosing A.Fib. How do emboli relate to A. Fib? Treatment of A. Fib. Discussion on the CHADS2 Score. How to diagnose SVT. Treatment of SVT. Role of adenosine. Steps of ACLS: 3 reasons for no pulse. What 2 mechanisms save lives? How to do CPR. Discussion of the mnemonic PAL. Pyramid of the causes of PEA and the description of the mnemonic HEAD. Common reversal agents. How to confirm asystole. How to fix a lethal arrhythmia. Second discussion of where the heart blocks are located and the vagus nerve. Heart blocks are defined by the PR interval. 3 ways to deliver energy to a patient with a heart block. Heart blocks on ECG. When should you order a 12 lead ECG? Who is your PAPPA mnemonic. Discussion of HORID mnemonic. Approach to 12 lead ECG. How to confirm sinus rhythm. Discussion of John’s “Two-fer Rule”. Describe the contiguous leads. Visual presentation of the cardiac blood flow hand mnemonic. Learn where to draw the isoelectric lines. What does a Q-wave represent? 4 clinical areas of a ECG. Discussion of ST elevation and APPLE mnemonic: STEMI presentation. 3 criteria to diagnose a MI. STEMI vs. NSTEMI. Red flags of chest pain with mnemonic DRiVE. STEMI on ECG. Discussion of chest pain pearls. Discussion of inverted T-waves with SLIP mnemonic: Presentation of pulmonary embolism. What is S1Q3T3? John’s syncope rules. Discussion of PERC rules. Discussion of murmurs. Mnemonics to remember different murmurs: S=MIAS and AIMS=D. Buzz words for CHF. How does a stroke present? Discuss how to diagnose a stroke. FLEAS mnemonic to help with stroke signs and symptoms. 6 ECG findings that kill patients with syncope and HAPPY mnemonic. Discussion of hypertrophic obstructive cardiomyopathy. Why are prolonged QT waves bad? Discussion on WPW. Discussion on Brugada Syndrome. What is Takotsubo cardiomyopathy and what does it look like on ECG? Pearls of Wellen’s sign. Discussion on De Winter’s T-waves.